My latest book, Missing in Michigan: A Paranormal Mystery, is the first of the Alexa Bentley Paranormal Mysteries open-ended series. This book will be released for Kindle and Paperback on June 19, but you can lock in your Kindle copy today for release day delivery! 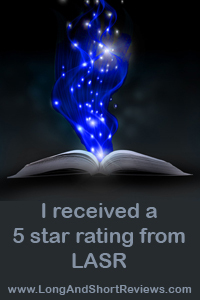 Early Reviewers Have Loved Missing in Michigan! ARC (advance reader copy) reviewers have been sharing their love for this new series on Goodreads. Missing in Michigan currently has a 5-star average. Thanks to your support, The Haunting of Cabin Green had a great launch! It spent three consecutive weeks as the #1 Amazon Best Seller for United States Horror New Releases. 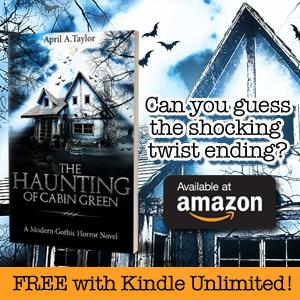 The Haunting of Cabin Green has been nominated for The Kindle Book Review’s 2018 Reader’s Choice Award for Best Horror/Suspense. Please take a moment to vote today! Your reviews are also greatly appreciated. If you enjoyed The Haunting of Cabin Green, please post a review to Amazon and Goodreads. Thanks so much for your support! Previous postReviews Needed: Your Opinion is Very Important to Me!